Jewish women's exclusion from the public domains of religious and civil life has been reflected in their near absence in the master narratives of the East European Jewish past. As a result, the study of Jewish women in eastern Europe is still in its infancy. The fundamental task of historians to construct women as historical subjects, 'as a focus of inquiry, a subject of the story, an agent of the narrative', has only recently begun. 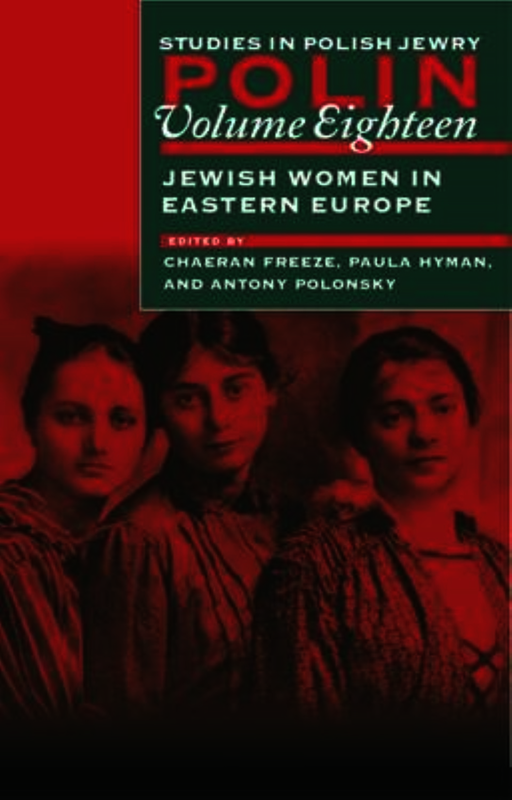 This volume is the first collection of essays devoted to the study of Jewish women's experiences in Eastern Europe. The volume is edited by Paula Hyman of Yale University, a leading figure in Jewish women's history in the United States, and by ChaeRan Freeze of Brandeis University, author of a prize-winning study on Jewish divorce in nineteenth-century Russia. Their Introduction provides a much-needed historiographic survey that summarizes the major work in the field and highlights the lacunae. Their contributors, following this lead, have attempted to go beyond mere description of what women experienced to explore how gender constructed distinct experiences, identities, and meanings. In seeking to recover lost achievements and voices and place them into a broader analytical framework, this volume is an important first step in the rethinking of east European Jewish history with the aid of new insights gleaned from the research on gender. As in earlier volumes of Polin, substantial space is given, in 'New Views', to recent research in other areas of Polish-Jewish studies, and there is a book review section. Antony Polonsky is Professor Emeritus of Holocaust Studies at Brandeis University and Chief Historian of the Polin Museum of the History of Polish Jews, Warsaw. He is the author of the three-volume History of the Jews in Poland and Russia, published in an abridged paperback version as The Jews in Poland and Russia: A Short History. The Maskilot: Feminine or Feminist Writing?